On January 17, 2018 the PR experts working in the largest Kazakhstani companies visited the workshop of the president of the Artisan Council of Kazakhstan Aizhan Bekkulova. 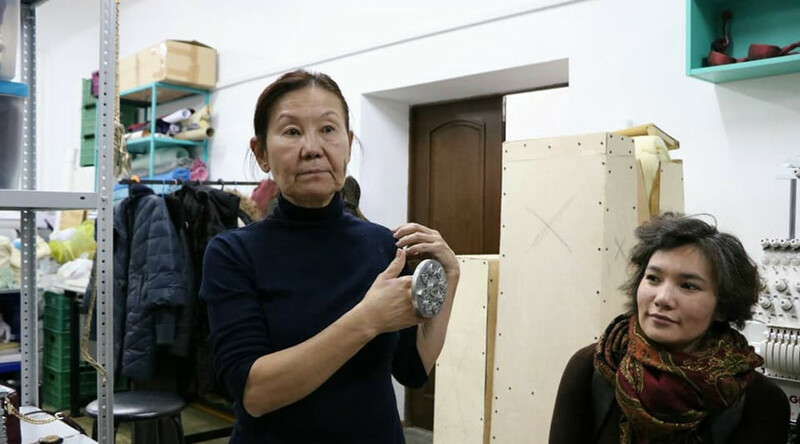 Aizhan shared her vision of the revival, preservation and development of the cultural heritage of the peoples of Kazakhstan. The meeting participants discussed issues of promotion and popularization of traditional crafts, expansion of cultural and creative connections with other countries. Mrs. Bekkulova told about her dream to build a museum of applied art. At present, more than 200 unique pieces of crafts have been collected, which were donated to the Artisan Council by craftsmen. These are works of the winners in the annual contest for artisans at SHEBER Festival organized by the Artisan Council.